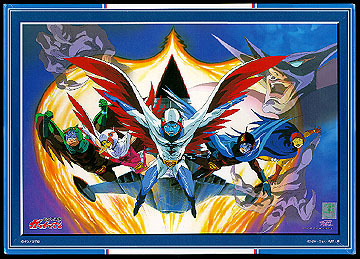 This puzzle featured an original illustration by Ippei Kuri, the Producer of the original Gatchaman series. It measured an impressive 50 x 75cm (1.6 x 2.5 ft) when put together! The first 2000 editions came with a numbered trading card reprinting the puzzle image.